“After I’m done with my workout, I don’t care what I do with the rest of my day.” Looking back, those words uttered across the phone to my mom weren’t entirely true. Not that they were a lie. They expressed the idea I was trying to get across. The idea that oftentimes the primary objective of my day is my training. The thought that once the training is done I have a sense of satisfaction and accomplishment. The notion that, as was the case this time, I don’t mind spending the rest of my day traveling from Denver to Philadelphia by way of a five-hour layover in Las Vegas, California. If I take a step back, however, I also know that this statement is only partly true. Or at least I hope that’s the case. Allow me to explain. Just about every day of the year, I spend at least some portion of my time training. Some days this takes up a significant number of my waking hours. Other days, not so much. But, whether it’s a lot or a little, my day is almost always filled with a few, sometimes many, non-running hours. But what do I do with those hours? Do I really not care how they get spent? We’ve all heard it before. The story of the professional athlete. That daily to-do list that, to some, sounds more like vacation. The morning workout. The recovery drink and afternoon strength routine. That evening shakeout and protein-packed dinner. Early to bed and then early to rise and do it all over again. It does sound pretty great. Pretty great, that is, if it’s true. Whether it’s true or not isn’t really for me to say. Sure, for some, the day depicted in magazines, tapped out on blogs, posted on Instagram, and imagined in our minds might sometimes be accurate. Other times, not so much. Those schedules that we wish we had might actually be much different than we think. They might be cluttered with meetings, emails, a training load that really is quite demanding, and a barrage of other random things. Those dream-job havers might lie in bed at night sore as can be and scared to death of the next day’s workout. Is it harder than the 9 to 5 that runs more like a 6 to 9? Does it feel like work? Does it pay the bills? I can’t answer that question for every athlete out there, and that’s alright, because that’s not what I’m getting at. What I’m after is not how many points professional athletes score on the ‘dream-job scale.’ What I’m interested in is for all of us. We all spend our days doing something. Hopefully it’s something we like. If not, hopefully it fuels someone or something we do. Whether it’s the former, the latter, or a bit of both, I hope that we all have at least a few moments of our day that are dedicated to something other than our job, school work, or whatever it is we spend so much time doing. I guess what I’m saying is that the day has a lot of hours. We typically spend some of them sleeping, a few of them eating, quite a few of them working, and the rest doing who knows what. Of course, it’s not entirely who knows what. We can probably pinpoint quite a few things that fill those hours, but some days things can seem so busy that it all kinds of blurs together and we really do wonder where the time went and how it was spent. Or perhaps you are on the other end of the spectrum. Maybe for some reason or another you are lucky enough to have a lot of free time. So much time that you struggle to know what to do with it. You feel bored, unproductive, and at times, guilty. What you may not realize is that amidst your lulling moments, you still share something in common with those who have crowded schedules and never-ending to-do lists. Sure, the paces are different, but what remains the same is the need for purpose. It’s like running. (Duh.) Running is great. (Again, duh.) It keeps us fit, gets the endorphins flowing, and some of us would even dare to say that it’s fun. But you know what can make running even better? Purpose. Sure, sometimes running in and of itself can be the purpose. I get that. But having goals to fulfill can put a whole new spin on what some may see as a frivolous pursuit. A lot of times a goal is something like a race to train for and complete, a qualifying time to chase, or a time, distance, or vertical PR to achieve. This is just the tip of the ice berg. Goals can be far less specific. For example, my good buddy Brandon Stapanowich once told me how he names his runs. He said that sometimes he comes up with the names first, and then that motivates him to run because he feels a need to write the story that he created in his head. It kind of makes me chuckle when I think about it, but at the same time I totally get it. Some days the only goal of my run is to tag certain peaks and be out for a minimum number of minutes. Aiming for those specific peaks adds a bit of excitement. It motivates me to get out the door. And when done, it gives me a box to check which in turn creates a feeling of accomplishment. The goal doesn’t have to be anything overly epic, but having something as small as a pre-determined route to complete can be enough to enhance the feeling of purpose. The same is true in life. Sometimes it can be really easy to feel discontent. On one hand this is crazy, because many of us are very blessed. We have much for which to be thankful. On the other hand, discontentedness happens. It’s probably human nature. I don’t think it has to be dependent on how successful we are, how much money we have, or if we’re where we want to be in life. I think contentedness and hunger can coexist. This is where purpose comes in. When we have a sense of purpose, we can feel content but still hunger for more. So, let’s take it back to the hours. As we go about our days running here, there, and everywhere, we’ve got to have some direction. For me, the training usually feels pretty purposeful. That’s not where I struggle. It’s those other hours that I get concerned about. What am I doing when I’m not training? Am I doing something worthwhile, something for someone other than myself, something that makes me feel invested, needed, and helpful? Am I using my blessings to bless others? 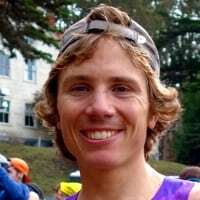 It reminds me of something Tim Freriks wrote earlier this year when he was named the number-two male ultrarunner of the year by UltraRunning Magazine. For those unaware, Tim had a killer year in 2017, winning some very tough and competitive races. When it came time to announce his recognition, he had the following words to share: “2017 was a year of transition. A couple new careers. New places. Friends. Dreams. I learned a lot, tried to help people as best I could, and had some fun along the way. That’s all you can really ask for.” All of the above is good stuff, but what really hit me was the bit about helping others. Why? Because it’s a pretty noble and selfless thing. I suppose you could say it’s purposeful. And, that’s what I’m after. A lifestyle that isn’t simply purposeful to myself, but purposeful to those around me. There are a million different ways that you can cut that pie, skin that cat, run that mountain, or cook those eggs. How you do so is up to you. Scrambled, poached, over easy, or as I call it, ‘dippy,’ cook it how you like, just make sure they don’t all go on your plate. Think big picture. Share the love. Lend a helping hand. In the end, that’s where you’ll find that sense of purpose and if you’ve got that, you’ve got something pretty great. What do you do with your 24 hours each day? 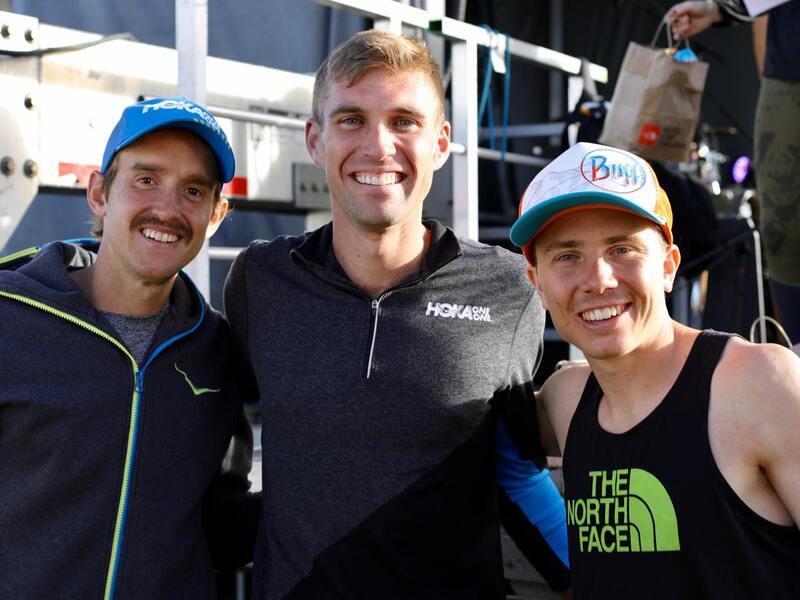 For those of us who commit significant parts of our days to running, how do you balance out this time pursuing an individualistic activity with doing things that make you feel connected with the rest of your world? Okay, a fun exercise, pretend you are a pro athlete. What might one day as a professional look like for you? Beautiful words my friend. As runners, we have competitive spirits that are left restless when not pushed or engaged in some fashion. We feel discontent and a lack of purity when we aren’t stimulated via running, hence why injuries are so frustrating. I like to think of running as something intrinsically rewarding that is displayed externally, locking into a pace and rhythm, feeling that flow, whether elite or back of the pack just getting their legs underneath them, it does the same thing chemically inside of us. Happy running to all! Zack, I absolutely love Your thoughts of the goal being purpouseful and beyond oneself. As a Teacher, Ultra Runner and dedicated loving Husband, I know that helping others is so fulfilling at the end of the day. Keep inspiring !!! Really cool, insightful, thought-provoking read. Thanks Zach! Are you planning to release your race schedule any time soon? Looking forward to spending a day refreshing irunfar’s twitter account the next time you’re out there! I am student, but i can find many hours to train in the mountains or to ride MTB. Sometimes i have the sensation of being unproductive because i haven´t got job. The system had taught us that if we don´t work, we are lazy. But there are a lot of works without wage which can be important for ourselves or simply, for our people. We would must valorate all kind of works.